Just minutes ago at PAX East 2019, Gearbox Software finally pulled the curtain back on Borderlands 3, but that’s not the only big Borderlands reveal they had under their belt. They also announced a full 4K remaster for the original Borderlands, and 4K texture packs for Borderlands 2 and Borderlands: The Pre-Sequel (as well as Borderlands: The Handsome Collection, which includes both games). 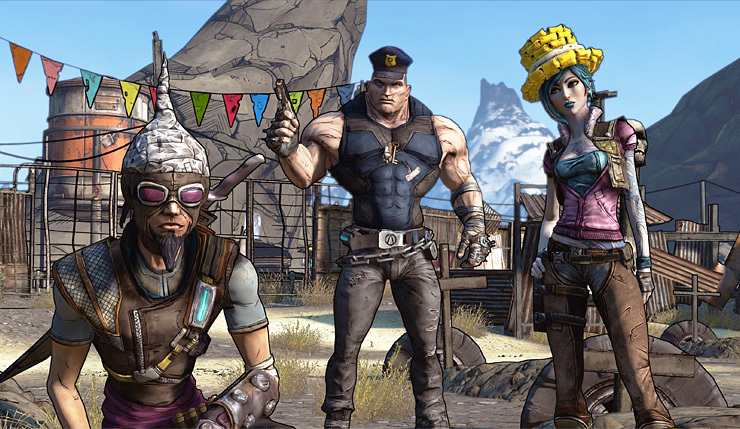 The Borderlands: Game of the Year Edition is probably the slightly bigger news, as this is the first time the original game has come to Xbox One and PS4. The remaster will include reworked 4K visuals, 4-player co-op, and a variety of quality-of-life improvements. You can check out a trailer and details, below. If you own the original Borderlands on Steam, you’ll be able to get all the new remaster content for free. Meanwhile, the Borderlands 2 and Borderlands: The Pre-Sequel ultra-HD texture packs will improve both games’ textures and assets on all platforms, but only PC, PS4 Pro, and Xbox One X owners will be able to appreciate them in full 4K. Both Borderlands: Game of the Year Edition and the Borderlands 2/Pre-Sequel 4K texture packs will be available on PC, Xbox One, and PS4 on April 3rd.